What’s the Difference between Ghostbusters and 'The Real Ghostbusters? Two animated series, both debuting in 1986, both containing the title of the hit 1984 movie. Potato, potahto, just two quickie attempts to cash in on a popular franchise, right? Not so fast. Turns out that the concept of bustin’ spooky spirits dates all the way back to 1975, when Filmation produced a live action Saturday morning series called The Ghost Busters that ran for one season on CBS. It starred F-Troop pals Forrest Tucker and Larry Storch as a pair of bumbling detectives named Kong and Spenser who traveled the world hunting ghosts with the aid of Tracy the Gorilla. Columbia Pictures paid Filmation $500,000 plus a promise of 1 percent of the profits to use the name “Ghostbusters” for their 1984 Bill Murray film, but thanks to Hollywood-style accounting, despite grossing $165 million at the box office, the movie failed to turn a profit. Feeling duped, Filmation quickly turned out an animated version of their 1975 show, using the same characters (Kong, Spenser and Tracy the Gorilla) and called it Ghostbusters. Columbia had deeper pockets than Filmation, and their series was accompanied by a line of toys and a team of lawyers. 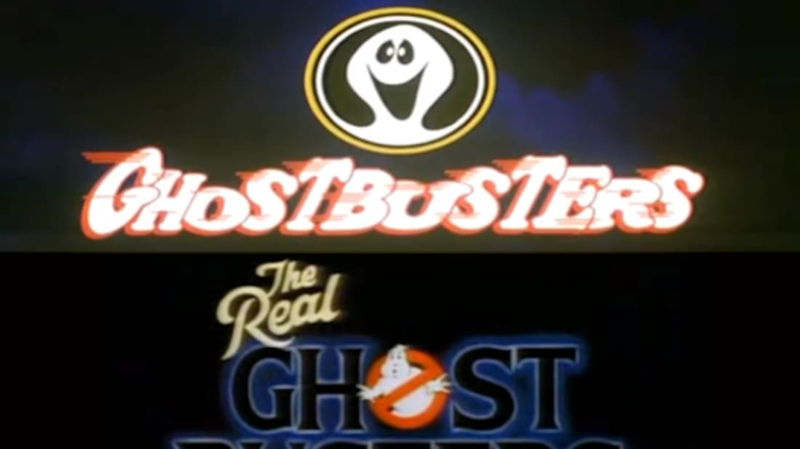 A series of legal volleys ensued, and the Filmation project was discontinued after 65 episodes, while The Real Ghostbusters ran for seven seasons.